Winn Dixie is a chain of supermarkets with locations in the southern United States. Winn Dixie, sometimes styled as Winn-Dixie Stores, Inc. or just as Winn-Dixie, is a chain of supermarkets - but there may not be one near you. This supermarket only has locations in five out of the 50 states: Alabama, Florida, Georgia, Louisiana, and Mississippi. However, if you live in one of those five states, chances are good you've shopped at a Winn Dixie recently! There are over 500 Winn Dixie stores in these five states. One of their most popular items are their Chek soft drinks, which are their private label drinks. They also advertise as being "The Beef People" and providing fresh beef. If you'd like to save some cash on your next batch of groceries from Winn Dixie, don't forget to add them to your favorites here on Tiendeo so that you'll have all the best Winn Dixie coupons and coupon codes right here in one place. 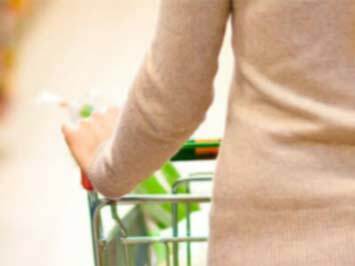 You can also check out their Coupons Gallery on their official website, winndixie.com, as well as the section that highlights the current In-Store Deals. There are lots of ways to save at Winn Dixie! Winn Dixie was founded by William Milton Davis and his sons, Artemus, James, Milton, and Tyne. Their first store was in Burley, Idaho. When William moved to Florida, he bought the Rockmoor Grocery store and over the years bought over and acquired more grocery stores in the area. Today, there are more than 500 Winn Dixie supermarkets. The sure sign of success for a supermarket is when it starts getting referenced in all sorts of pop culture. That's just what has happened to Winn Dixie over the years! One of the places a lot of people have seen their logo and name is at NASCAR events. The supermarket sponsors both race cars and events related to racing, including Mark Martin's Roush Fenway Racing#60 in the 1990s and the Xfinity Series which was held in 2015. They also got a mention in the movie Fried Green Tomatoes, as there are a few scenes that take place right outside the supermarket. But the biggest reference it gets it an entire book and movie with its name in the title: Because of Winn Dixie. The story is about a dog that gets found in - you guessed it - one of the supermarket's locations. Do you want to receive more deals from Winn Dixie by email?